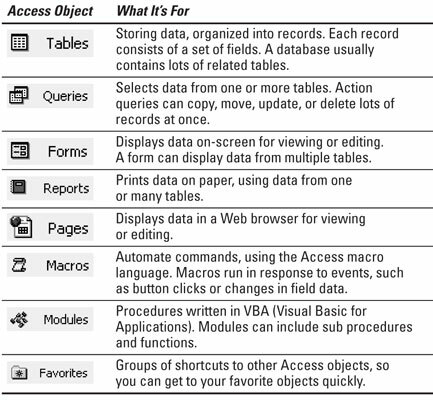 The Database window of Access 2003 gives you, er, access to the Objects toolbar. You can then use the object to organize your database, initiate queries, and do all the functions you use Access 2003 to do. Display the Database window by clicking the Database Window button on the toolbar or pressing F11.